IT Consultancy Reaches the Highest Partner Level for Another Year. SugarCRM, a leader in CRM software, conferred Levementum as one of only twenty three partners globally to have achieved Elite status. To be recognized as an Elite partner in this ecosystem demonstrates that our approach of building industry-specific, platform-based solutions and services are working. 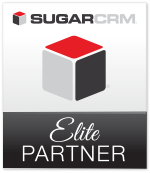 Levementum, a leading global provider of CRM and Digital services, today announced it has achieved Elite status, the highest tier in the SugarCRM channel partner program. As a value-added reseller of the SugarCRM platform, Levementum has demonstrated continuous sales growth and advancement within Sugar’s Partner Program. "We are thrilled to once again be recognized by SugarCRM as an elite performer and receive the highest honor awarded to SugarCRM’s channel partners," says Chris Spangler, Strategic Account Director – SugarCRM Practice, Levementum. "The synergies between SugarCRM and Levementum are undeniable and have resulted in continuous growth, mutual success and strong partnership." As a leading service provider on many of SugarCRM largest transformational projects, Levementum understands how to help customers rapidly achieve measurable business value from CRM technology and has proven its worth in projects across all industries—delivering customer success in terms of operations impact, delivery quality and business value. SugarCRM has built a unique channel program of CRM experts with more than 230 channel partners across 31 countries meeting the diverse CRM needs of enterprise organizations.